We are already in March and that means the beginning of the Spring and Summer seasons! That also means there will be those happy customers out there who will have been planning to have their spring and summer weddings and who will be celebrating their occasion in style. We know this because at Butlerz we start to see the increase in requests for our Wedding Dress and Specialist Cleaning Services. If you are going to want your wedding dress expertly cleaned after your special day then read on! Why Choose Butlerz for your Wedding Dress Cleaning? A wedding dress is perhaps the most special and precious of garment a lady will ever own. In order to preserve and store a wedding dress properly it is essential that it is cleaned in the correct manner to prevent premature ageing, fading and damage. Wrong use of solvents for example can melt beads and lead to stains and damage. At Butlerz we treat your wedding dress with the care it needs and we have a long and established history carrying out specialist wedding dress cleaning in the Surrey region to prove it. 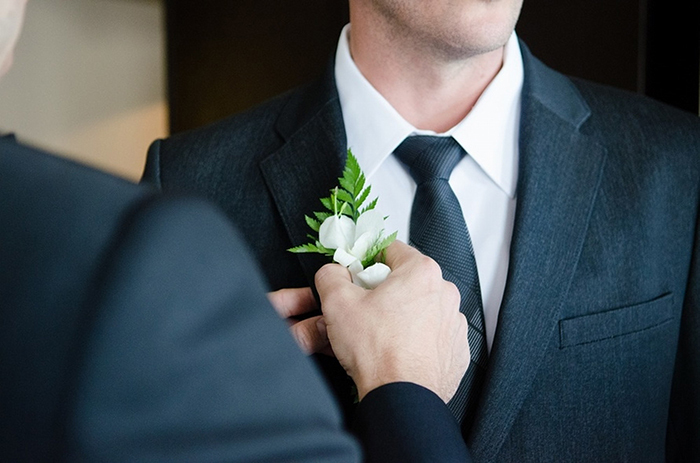 We carry out dry cleaning services for all variations and types of wedding dresses including those labelled Spot Clean, Specialist Dry Clean and even ‘do not dry clean’. Butlerz also clean Wedding Suits for men, the Bridesmaid dresses, plus also Christening Gowns and Prom Dresses. Once we have collected your dress our team of experts will carefully inspect the dress materials to determine the best procedure for cleaning the particular materials and treatment to suit the delicate materials. We have a range of processes to care for and clean a variety of fabrics and styles, all of which treat the dress with the utmost care. We can clean dresses that contain delicate lace, silk, organza, beading and diamanté for example. We will have also checked for any embellishment or stains and usually we can clean these effectively. On occasion we may need to advise on whether it is possible to remove some stains. For very sheer and fragile chiffon that are silk based and rayon based these need to be handled by experts because if they are not treated with extra care they may tear, shrink or expand if handled roughly. Thats why it is important to place such precious clothing items with experts like Butlerz in Surrey. Only once we are completely satisfied with the cleaning of your dress will we painstakingly press and finish your dress by hand and protectively hang it. When your wedding dress has been cleaned and finished to our exacting standards we will arrange delivery of your dress. Butlerz offer a very customer focused service and if you live in the Haslemere to Godalming areas of Surrey then we can come straight to your home or office and pick up your wedding dress, take away for cleaning and bring back again in a scheduled and timely manner. To read more or to book your wedding dress cleaning then visit our website page on Wedding Dress Cleaning. Simply download the order form and call us direct on 01428 713026 or 07866 443116. For any questions, suggestions, feedback or comments tweet us @Butlerzco or Facebook us @butlerzdrycleaners.